A classic pattern that just screams wood. 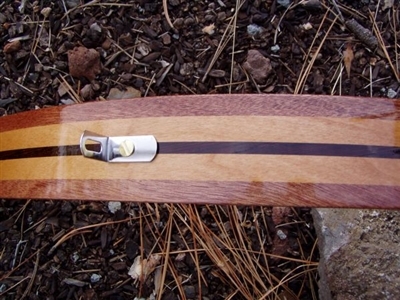 These are built from Mahogany, Cherry, and a center stripe of Wenge. If you want someone to notice wood on your bike these are it.